Criss-cross applesauce, it’s time for circle time! We often hear from teachers who are looking to minimize circle time disruptions in their classrooms. From hair pulling and touching to rolling around on the ground and not sitting still, disruptive behaviors can interrupt circle time. The good news? You can pre-empt many of these problematic behaviors with the appropriate sensory tools. It’s not that sensory-seeking kids can’t focus, sit quietly or learn in a group. These students struggle to keep their bodies still because they seek movement and touch to help regulate their nervous systems. 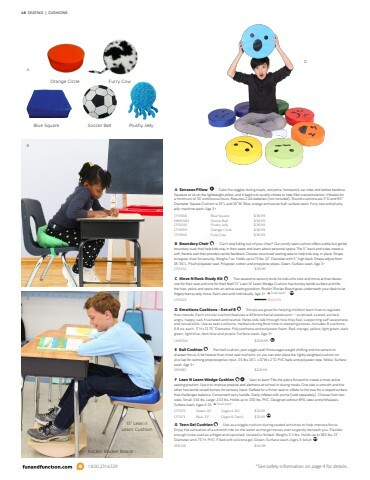 By putting the right tactile and movement tools into their hands, you can help kids stay focused during circle time without disrupting the entire classroom.